A story on how students from Leiden went to do research on problems with water in the Philippines and then very physically experienced their research topic. Or: How you can have both too little and too much water at the same time. For the fifth year in a row a dozen students from Leiden University – some of whom were majoring in Cultural Anthropology and others taking part in the minor Sustainable Development – were sent to the Isabela province on the Philippines' largest island of Luzon. There, they were matched with as many students of the Isabela State University (ISU) in order to take part in the International Winter Course on Water Management. Participation in this course means getting to know the region (Cagayan River Valley in Eastern Luzon), learning about water management, conducting field research in a remote village, and finally, reporting about the research. Another very important facet of the course is learning to work under pressure in unfamiliar surroundings, and in close cooperation with fellow students. Fortunately, these ambitious objectives always attract equally ambitious students from universities who prove year after year that all this really can be done in just four weeks. The participants of the 2015 edition of the course proved not only to be ambitious, but to possess a high degree of physical stamina as well – and this was needed in the field this year more than ever! Being one of the lucky Leiden University staff to accompany the students on this adventure, I witnessed how they learned an incredible amount of facts about water-related issues in the Philippines and also grew personally through intense intercultural cooperation. But most interesting was observing directly how they physically experienced their research topic, namely, the problems caused by water. Such immersion in the research topic and physical experience of the problem one is studying is in fact the crux of any ethnographic research. When after a week of excursions and institutional visits our students finally settled at the ISU campus in Cabagan, they could start developing their research proposal. The topics they could choose from ranged from access to and management of natural resources (land and water), or management of conservation projects like fish sanctuaries, to perceptions on health and sanitation issues in the context of water supply. 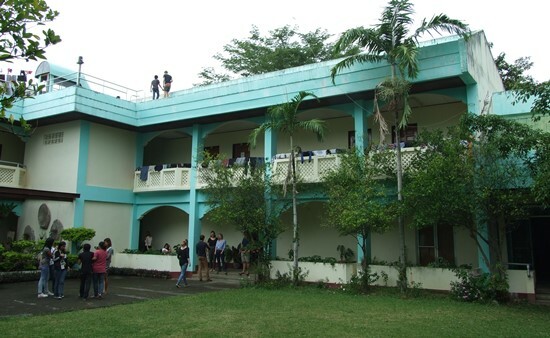 Another thing the students could finally try out (having stayed in hotels most of the time in the first week of the course) was living on a Philippine university campus. The sleeping quarters were comfortable, the food was tasty and provided in large quantities, but the water supply was something they certainly needed to adjust to. In most of the Philippines there is in fact no uniform or centrally run water supply system; people get their water from pumps, spring wells and rivers and individually distribute it to their households and offices, by garden hoses or simply by carrying buckets to their houses. The ISU Cabagan campus used a central water pump, not unlike many households. The pump supplied the campus bathrooms with water. This water was unsuitable for drinking, so that specially purchased purified water was provided for drinking and cooking. In the bathrooms the water pressure was by no means strong enough to ensure the working of showers and toilets but was sufficient to fill large barrels provided in each of the bathrooms and toilets. The cold, yellowish water from the barrels was then used for bathing, washing clothes, and rinsing the toilets. For showering the “tabu” was used: a small, 2-liter bucket with an elongated handle. The water barrels were kept full for another reason: since the campus pump was operated by an appointed technician who, as a civil servant, worked only during office hours, no running water was available at night, in the weekends, and during holidays. The pump also regularly malfunctioned, which caused shortages of water even during the office hours. At such moments, having nicely filled barrels was indispensable. Irregular water supply resulted in the fact that people rarely had water boilers in their houses, but also that very few households kept a (semi-automatic) washing machine, meaning that most of the washing was done by hand in cold water. For European students this meant getting used to having cold water-bucket baths instead of hot showers and doing their laundry by hand. Although these discomforts were overcome without too much ado, the fickleness of the water supply made their daily personal care a regular topic of conversation. Since this topic is rarely touched on in Europe (at least outside family circles), it meant that the newly formed friendships very quickly reached a degree of intimacy resembling that within a family. As part of the physical preparation for their fieldwork, the students were taken for an excursion to the remote village of Balete, situated on the edge of the Sierra Madre forestland. There, they could experience rural life and practice their hiking and interviewing skills for a day. 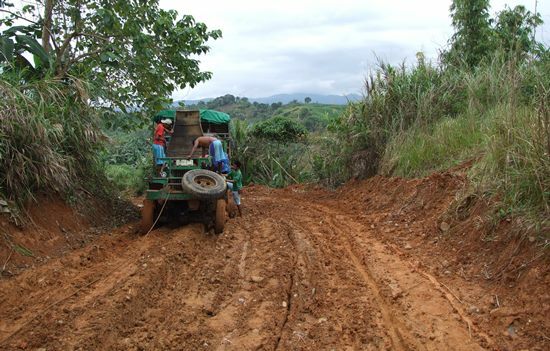 In order to reach the village we walked for hours over steep, muddy slopes of Sierra Madre, passing through fields of corn and sugar-cane, making our way through woods, and crossing creeks. 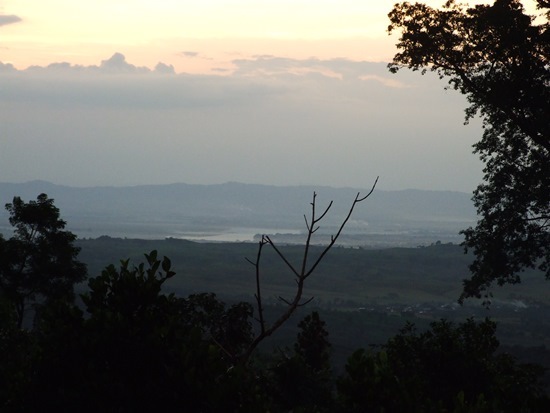 Balete, rich in magnificent views over the Cagayan River valley and opulent in sounds from domestic animals, wild birds, and buzzing insects, was a very unpretentious village. Its wooden houses were tiny and simple; there was no electricity, and the only source of water were natural springs, from which the water was distributed by simple garden hoses. Instead of toilets, people used the surrounding fields and woods. Purified drinking water was not available because of the distance from the nearest town, so villagers simply used the water from spring wells. This environment enhanced the students’ earlier awareness of water shortage. They could see and physically experience how it is to have neither a steady supply of drinking water, nor basic sanitation facilities; what life can be like when one does not have water in abundance and at all times. This exposure to the daily lives of inhabitants of a remote village gave their soon-to-be-conducted research on water management another dimension of personal experience. As the Philippines prepared for the visit of Pope Francis and our students for their field research, the weather became unstable. A tropical storm – a typhoon named 'Mekkhala' – appeared on the radar. This was unusual for this time of the year, for typhoons usually do not hit the Philippines in January. It was also strange that the Pope was there to visit, among other places, the island of Leyte and to speak to the victims of the devastating typhoon of December 2013. The coincidence of the papal visit and an unusual typhoon was interpreted by some as the work of unholy powers, and for the students of our 'Water Course' the rainy weather brought the prospect of wet and extremely muddy field research, more like a 'water curse'. Curse or not, reaching the remote field locations by hiking was really jeopardized by rain and mud, and crossing the rivers by logging truck was impossible due to high waters. Finally, the decision was made to postpone the start of the fieldwork for two days. So there we were, spending another weekend on campus. And while the water pump in Cabagan campus was silent (outside office hours!) and the water barrels were getting alarmingly empty, less than a hundred kilometers away, in San Mariano, the rain was raging and river waters were reaching dangerous levels. After the research was done, we all spent another day together in the village of Dunoy, bordering on the Northern Sierra Madre Natural Park. There we helped to release the infant crocodiles, reared in the special conservation station run by the Mabuwaya Foundation, into the wild. And then it was time to return to the university campus in Cabagan and start the hard work of writing up the research. When the research reports were finalized, presentations at the ISU rounded up, and the sounds of the farewell party karaoke had died out, it was time for one last excursion. 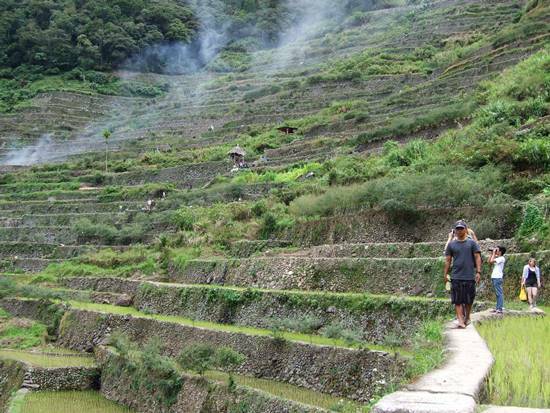 This time we visited a UNESCO World Heritage Site: the fabulous two-thousand-year-old rice terraces of the Ifugao people of the Cordillera Mountains where we could witness the very spectacular way water was used for irrigation. But due to heavy rainfall, a severe landslide had occurred on the newly constructed road between Banaue and Batad, preventing us from taking the easy way and ride a jeepney to our destination. So there we were, hiking once again through mud and in pouring rain, over steep hill slopes... But seeing Batad, walking over the rice terraces, and swimming under the Tappiya waterfalls made it all worth while! The title of this blog refers to a student blog post on the Water Course Facebook. Thank you dr. Van den Breemer! We certanly still remember the field school in Senegal and Gambia and use the experiences and the knowledge obtained there in order to run the field schools nowadays. Especially the one in Ghana which we offer now to our master students who do 3 months of field research, avails from the experiences in Senegal and Gambia. And thank you dr. Zetland! We had two great students from LUC with us this time. I will gladly get in touch with you when we know more details about the Philippine Water Course of January 2016.
very interesting to read how the research training is being organised today. I organised a comparable training in Senegal and Gambia at the time.